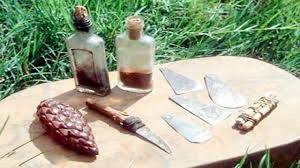 A young girl died from excessive bleeding and two others are currently fighting for their lives at a hospital in Kerio valley after an FGM exercise went terribly wrong. The girl who was a standard seven pupil at Chebilil Primary School, succumbed to her injuries on her way to hospital after undergoing the process in Kowou. Her two friends are admitted at St Benedictine Sister’s Chesong’och Mission Hospital in Marakwet East. The chief nurse at the facility said that the girls aged between 12 and 11 were brought at the hospital when they were unconscious after loosing a lot of blood and they are doing the best to save their lives. Earlier on, Kipchumwa location Chief, Benjamin Cherobei is said to have been roughed up alongside two other APs when he stormed into a local hideout to arrest traditionalists who were forcing the girls to go through the process. Police are looking for the three girls’ parents.